Deanna Burgart is a speaker, trainer, engineer and mentor that has a talent for identifying gaps and providing solutions to systemic, organizational and transformational change. She brings over 20 years of experience and education in energy and pipelines and is passionate about energy transitions and the implementation of the United Nations Sustainable Development Goals and United Nations Declaration of Rights of Indigenous People. She helps STEM (Science, Technology, Engineering and Math) focused organizations move forward in operationalizing Indigenous inclusion and the Truth and Reconciliation Commission Calls to Action. Since 2017, Deanna has been working on an initiative Indigenizing pipeline curriculum through a pilot project with SAIT and Innotech Alberta, training 60 Indigenous students in Pipeline Monitoring. In 2018, she joined the University of Calgary as their first Indigenous Engineer in Residence.As a formally trained musician and performer, Deanna believes that incorporating the Arts in STEM will engage future diverse perspectives. 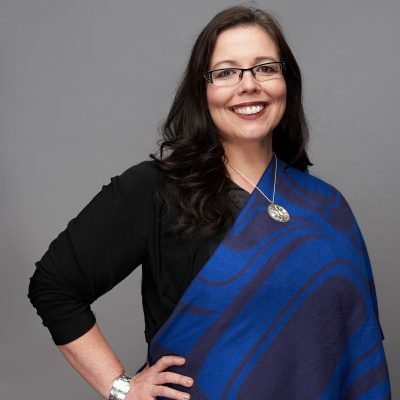 She is the President of Indigenous Engineering Inclusion Inc. and co-founder of IndigeSTEAM – A non-profit youth initiative that connects Indigenous professionals and youth in the spirit of mentoring and collaboration. They are hosting their inaugural mentor’s leadership retreat in April 2019 at the Banff Springs Hotel.